For the Legend Jack Lindholm. 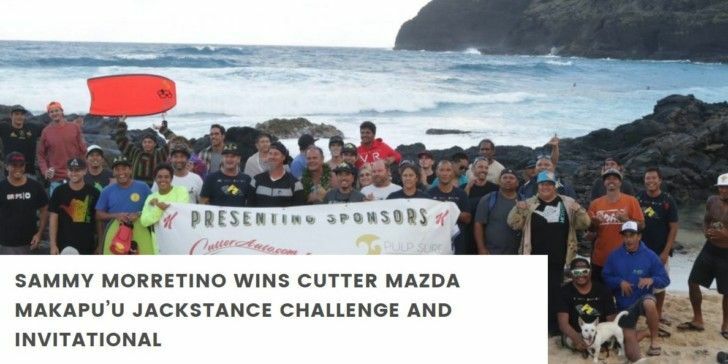 The 3rd stop on the 2016 Hawaii Bodyboarding Pro Tour season, the Cutter Mazda Makapu’u Jackstance Challenge and Invitational consisted of 48 competitors in total, 24 from the Hawaii Bodyboarding Pro Tour and 24 invitees from the Hawaiian Islands. All day, contestants battled it out in the famed Makapu’u break, an iconic locale seemingly made just for bodyboarding with its powerful shorebreak. 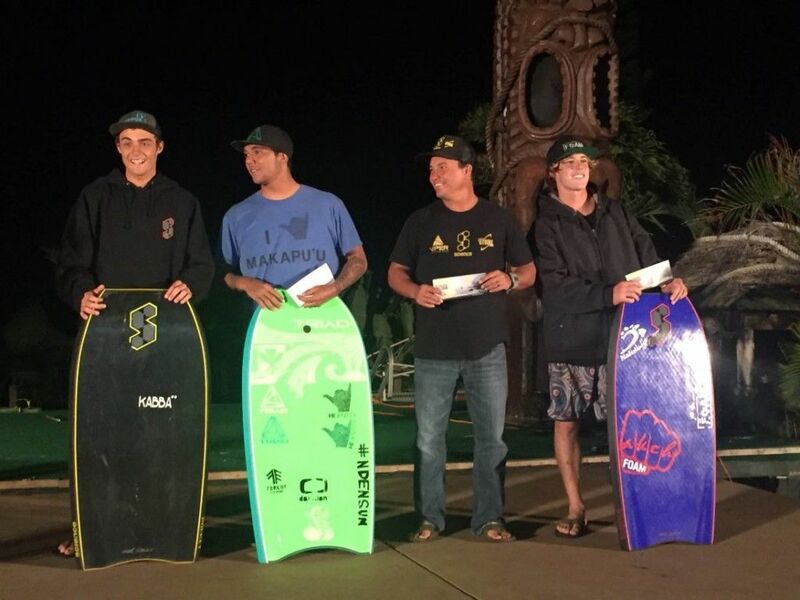 The final consisted of Sammy Morretino, Dayton Wago, Jimmy Hutaff, and Mack Crilley. Sammy set the tone early, catching the first wave and continuing to hack and carve in the 2-4 foot conditions on hand. With Sammy in the lead, Dayton Wago took second, Jimmy Hutaff third, and Mack fourth. The final four contestants received awards at Sea Life Park following the competition. Though Jack is hailed as the genesis of Dropknee, the man himself humbly deflected the attention, pointing it back to the history books. “There are ancient Hawaiian etchings, during the Captain Cook days,” he said. “There’s one of someone riding Dropknee, so it’s ancient Hawaiians who invented it. For me, I didn’t think of it, hear of it, it just came within. It was all part of being with other competitors, having fun and being creative. The Hawaii Bodyboarding Pro Tour’s next stop during the 2016 season will be the Miller’s Surf Big Island Challenge on November 19/20.